Every September is very special because it is the month Master Sha received a very very special Soul Song from Divine, Love Peace and Harmony. This Divine Soul Song is one of the greatest treasures that Divine has given to Humanity and Mother Earth because each of them given by Heaven carries a unique divine frequency and vibration to bless all souls and all universes. When we sing this song, its divine power can remove our soul, heart, mind and body blockages to transform our lives. When we sing this song, we carry the divine presence of this song!!! This is simply amazing!!! Allow me to share a brief story about this with you before I share what Mother Earth would like to tell us. "On a beautiful Saturday on September 10, 2005, Master Sha visited the redwoods in Marin County, Calif. with three of his students. This September is the 10th anniversary of Divine Soul Song Love Peace and Harmony. Our beloved Mother Mother wants to share a message with you all. My beloved children, it is my greatest honor that I am sharing my deepest gratitude to Master Sha for bringing this Divine Soul Song Love Peace and Harmony to all souls, all universes, and to me. It is the most loving lullaby Divine sings to us. Do you know I also sing this Song to each of you everyday? Every time one of you sing this song, I feel your love and gratitude and it is a profound healing and blessing for me. I have heard the prayers from many who love me dearly and would love to support me in anyway they can. Yet they feel hopeless and helpless because they do not know HOW to assist me with the pollution of air and water, deforestation, global warming, and more. Many feel my suffering. I am so touched by your love and care. Please let me share a simple way to help clear the pollution for the air and water. 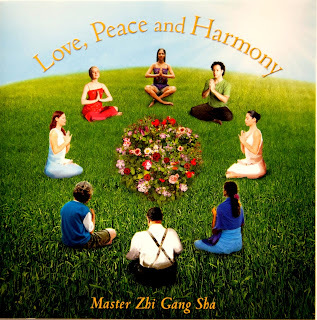 When you gather as a group to sing this Divine Soul Song Love Peace and Harmony sincerely with greatest gratitude to Divine and to Master Sha, each of you as a group have the power to clear all sorts of pollutions and you can rejuvenate me. It is that simple. Master Sha has shared this with me and now I am sharing this with you. Can you gather people in your family and community to sing this love song to me? I will be so deeply grateful and happy. Each of you are so dear to my heart and I would love to see you all (including all mountains, trees, animals, oceans, and rivers, and more) to receive Love, Peace, and Harmony in your heart and soul. When you do that, you are helping me. When you heal yourself, you are healing me. The pollutions that I have experienced are in fact largely to do with the soul mind body blockages from humanity. When you carry the divine vibration of Love, Peace, and Harmony, you are self clearing your own soul mind and body blockages. In turn, this helps to alleviate my suffering. 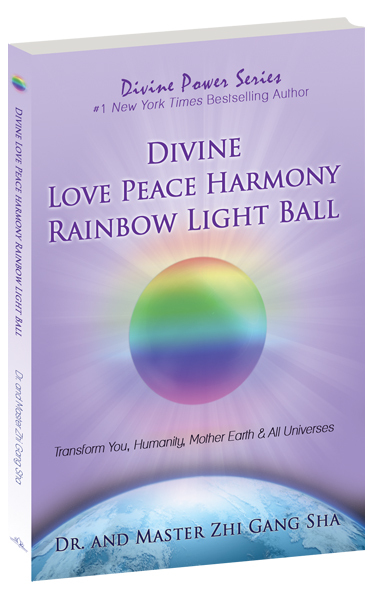 I invite you consider the following question:What do you have to let go of the old patterning in your life that you can truly live in love peace and harmony with yourselves, your loved ones, and all souls? I love each of you behind words and I can't serve all souls enough. It is my deepest desire each of you be the light, be the love, be the harmony, be the peace, for me! 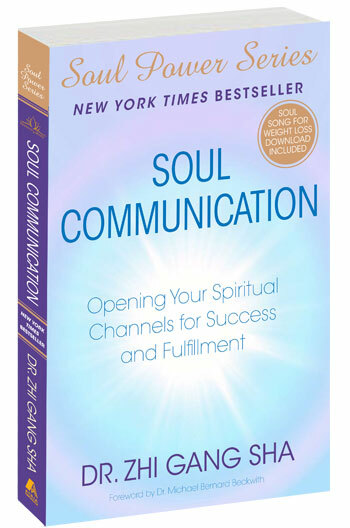 What is Soul Communication? Why do we need to communicate with the soul of Mother Earth? "Soul communication is a profound gift for this era, the Soul Light Era that began on August 8, 2003. Soul communication makes it possible to have a direct conversation with the Divine, with the highest saints, and with any soul with whom you wish to communicate. The wisdom, healing, rejuvenation, and transformation that comes from soul communication are without limits." We do it because we want to understand our soul's desire and purpose...every soul's purpose is to uplifting our soul standing. 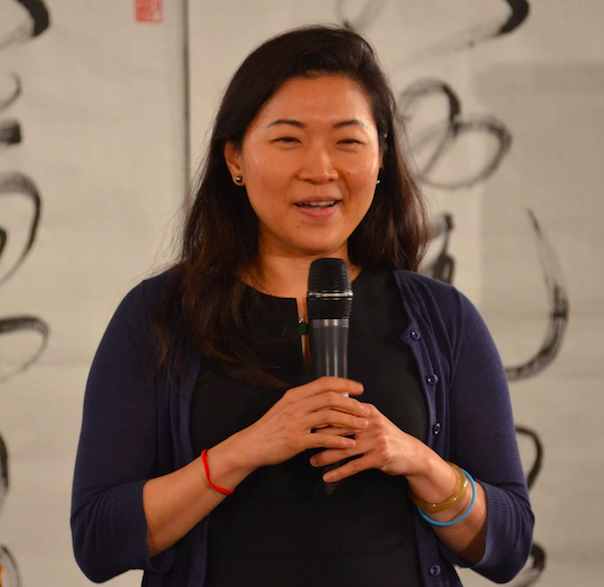 Master Sha said, "you will be amazed at how soul communication will change your life. Many secrets will be revealed to you. The roots of many obstacles will be revealed to you. Health issues, including illness and aging will be helped...Soul Communication transforms your entire life. You receive teachings, wisdom, and healing. Soul communication changes your frequency. This makes it possible for you to connect with higher level of the Soul World. Why should we do soul communication with Mother Earth? I am so grateful to learn from Master Sha about the importance of communicating with Mother Earth, “Did you know mountains and rivers communicate. Mother Earth communicates. They all communicate with each other." When we communicate with Mother Earth, we are not only connecting to her but we connecting to ourselves. 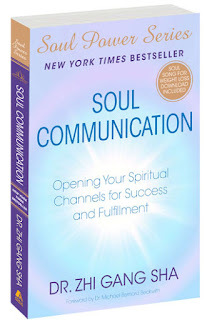 How can you open your spiritual channels to do soul communication? Master Sha tells us that offering unconditional universal service is the most powerful and effective way to open and develop your soul communication channels. One key secret for developing our soul communication skills is to be patient, allow your soul communication channels to open step by step. Build your foundation first. Master Sha offers many teaching and blessing for humanity to open and develop their soul communication channels. 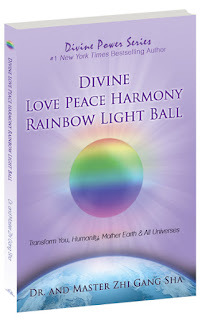 Please read Master Sha’s Soul Communication book from P. 16-26 You can also receive divine downloads that will greatly enhance your soul communication.